For my summer internship I am working for the Police Department in my home town in California. It has so far been an interesting experience being able to understand how police reports and documents get filed and the process of approval and submission. This is important to understand as I progress down the path of Law Enforcement, even though at times it is a lot of paperwork and seems like busy work. I can easily grasp how things work not only for the officers but the interactions that are necessary for officers and the other members of the department that you don’t hear about every day. It has been a growing experience to learn different functions and skills, especially enhancing my flexibility and eagerness to learn. It has also been interesting to compare things to how I have experienced them in Walla Walla with the size and the emphasis on different things. I am grateful for everything I have learned from Walla Walla previously and that I am able to apply to this internship, as well as what I am learning here that I can combine with Walla Walla skills and can apply to everything later on in my career. 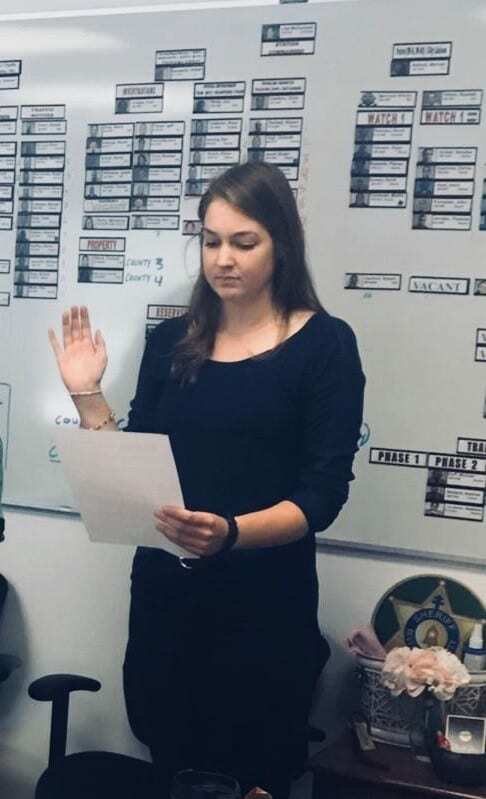 It was exciting for me to experience being sworn in like an official member of a police force and to understand how much they emphasize every member of the force, especially the canines. I look forward to more experiences and to my future.